Hard to believe that Christmas is almost upon us! With all this shopping we need to get done, I wanted to suggest Daniel Forsyth’s The Mercury Diaries as the perfect Christmas gift for anyone in your life who likes to read about their health. When Danny wrote the book, he made it very clear that he wanted his story to be applicable to anyone who wants to educate themselves about their health options. 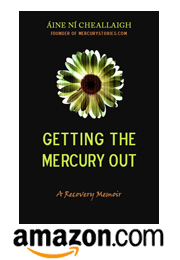 Even though it’s a book about mercury detox, the core of the story is universal to anyone who has been sick or who is searching for a deeper understanding of how their body works. Anyway, check out his book on Amazon, and I hope you all have a great December!